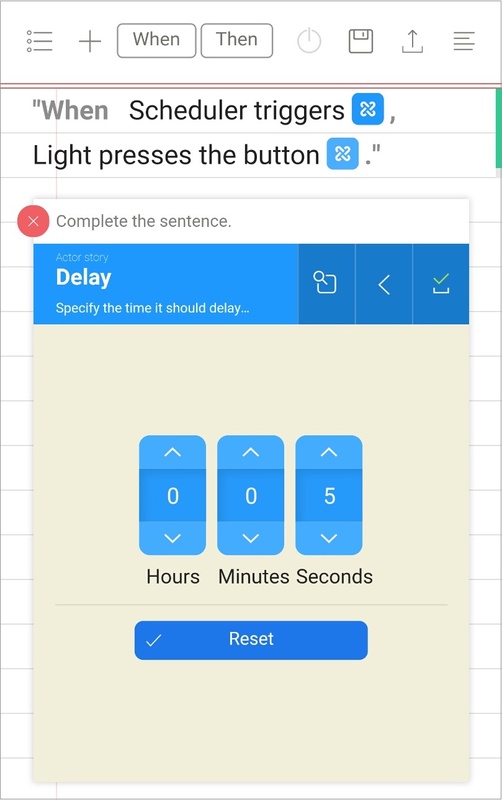 The 'Delay' feature in Stories app allows you to create a pause between two actions or events to make sure the automation happens at the right time for you. Let's create a storyline that doubles each Push with a 5 seconds gap. Basically, every time you make your MicroBot push a button, it will do it a second time after 5 seconds. 1. 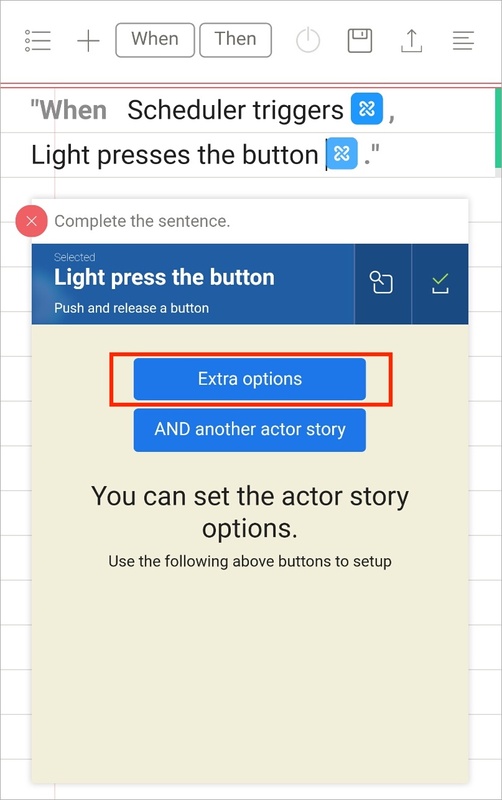 Once you've finished written the action, click on "extra options"
3. 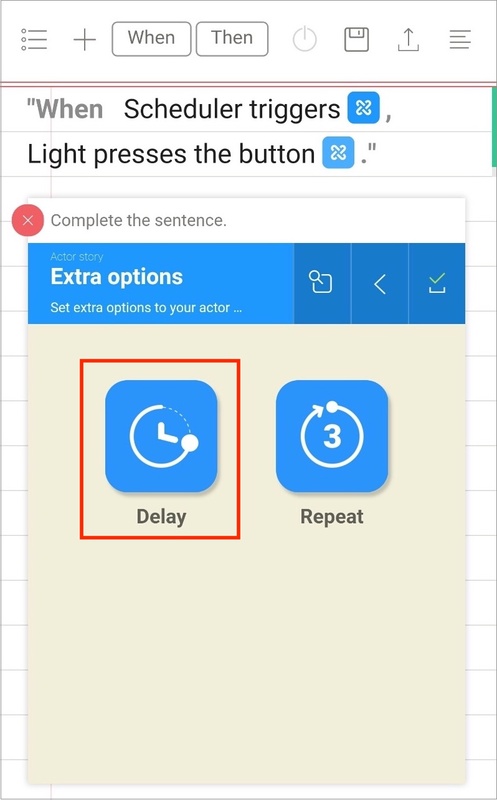 Set the 'Delay' to 5 seconds and confirm with the top right corner icon. You can do that for any possible action, for instance, to leave a specific time gap between the event and the action or between two actions (if you use the 'and' or 'then' commands).